Raise your hand if you’ve encountered a recipe that calls for pumpkin pie spice. Now raise your hand if you actually have a jar of pumpkin pie spice in your kitchen. If your anything like me, seeing “pumpkin pie spice” in a recipe sends your scrambling to Google and a search for substitutions. I do a lot of baking with pumpkin, which means I encounter this spice blend quite often. I found myself searching for a substitute every.single.time. Each time, I’d pull out an array of fall spices, convert the proportions so that I’d end up with the correct final amount and measure each spice individually into my recipe. I finally got smart and decided to whip up a big batch. If you do much baking, you probably have all of the components of pumpkin pie spice hanging out in your spice cabinet. 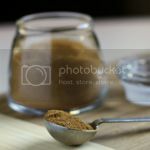 While recipes and proportions vary, I prefer a pumpkin pie spice that’s heavy on the cinnamon, with a healthy dose of ginger and enough nutmeg and allspice to stand out. Some recipes include ground cloves, which seem a bit too heavy for my liking. However, if it’s your thing, throw some groud cloves into your pumpkin pie spice. You can balance these lovely fall spices to your liking, mix them all up and store the resulting blend in an airtight container. 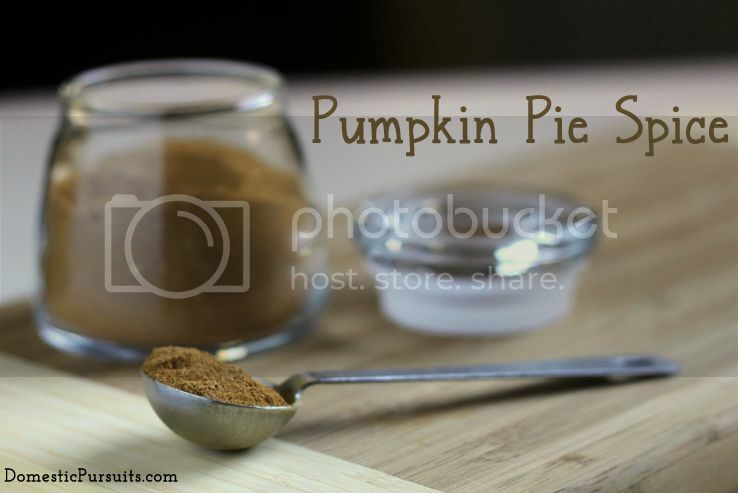 Next time you come across a recipe that calls for pumpkin pie spice, you only need one spice container, and one measuring spoon – no Google searches required.